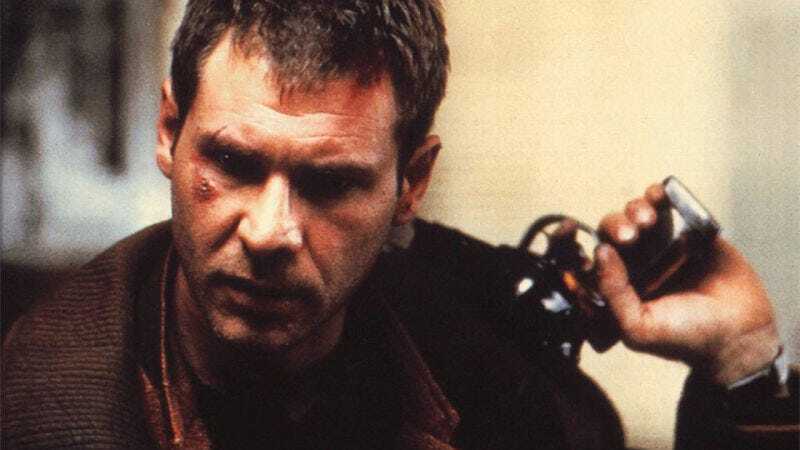 Deckard’s sweet gun in Blade Runner was actually built from parts of real guns. Where a lot of prop weapons from films are just resin poured into a mold and then painted, Deckard’s gun looks and feels like a weapon; there’s a genuine heft to it, something inside clicks when you pull the trigger, and there’s even a mechanism for loading it with (non-existent) ammunition. It’s wicked cool and Karl Tate, co-producer of last year’s Plastic Galaxy, stopped by with his friend director and co-producer Brian Stillman to show it off. Tate and Stillman are both major toy and prop fans—which you’d have to be to make a documentary about the rise of Star Wars toys in the late ‘70s. Besides Deckard’s gun, they also brought by some other great toys, including Luke’s lightsaber from Return of the Jedi, a phaser and communicator from Star Trek, and an Alien figurine from a 1979 toy run that was so scary the whole Alien toyline was discontinued! Brian, the rare passionate Dune fan, also had a tremendous number of cool bits from the make of film. While the original script, storyboards, and bottle of tequila are neat—I’m a fan of the dagger that may or may not have been held by Sting.